In 1998, a panel of judges – experts in the fields of science fiction, pneubotics, and wedding cake design – cast their eyes across the mechanical merits of robots on television, in order to crown the nation’s favourite shiny-headed beings. The shortlist included Marvin the Paranoid Android, Mechagodzilla, and Doctor Who‘s very own K1 Robot. It lost out to Ross Kemp, but the K1 nonetheless claimed second place. Unfortunately, as Kamelion wouldn’t even be conceived (by Mr and Mrs Kamelion, a mummy and a daddy who loved each other very much) for another 10 or so years, the design team had no idea what Dicks was on about, so instead muddled together a creation from paperclips, staples, an Amstrad keyboard, the collected works of Isaac Asimov, a lever arch file, Tales of Suspense #82, a spare Michael Kilgarriff, a ticket to see Carnal Knowledge at the local Odeon, a spiralizer, and a Seagate ST4000LM016 HDD. 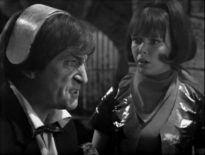 The final K1 auditioned for the part of Jo Grant, but lost out to Katy Manning, a young actress who promised not to let her various qualifications in Advanced Physics, Advanced Philosophy, and Advanced Ideas Mechanics influence the role. When Pertwee left the role of the Doctor, though, an older chap was sought to play the Time Lord, meaning a more agile and dextrous companion would be needed to fill the BBC’s Action Hero quota. Sadly, the K1 was once again relegated after Ian Marter impressed the production team with his 5-hour audition, which included recitations of 28 Shakespearean sonnets, the “I Am the Very Model of a Modern Major-General” song, and a Blu-ray disc of Carnival of Monsters. After both he and Letts had decided to leave alongside Pertwee, Dicks was clearing out his office when a plan most fiendish happened upon him. 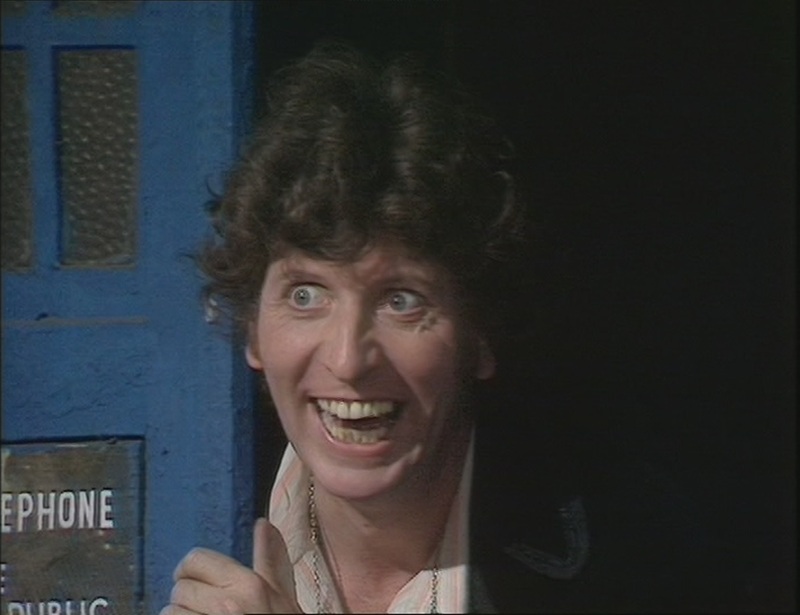 He convinced incoming producer, Philip Hinchcliffe, that it was a tradition for the previous production team to work on the first serial of the next Doctor. The new script editor, Robert Holmes, who had written Pertwee’s debut, Spearhead from Space, knew better, of course, but Dicks had dirt on the writer – namely The Krotons – so Holmes kept schtum. By this sneaky tactic, Dicks not only managed to get himself another writing commission, but also got Letts a directorial job (under the pseudonym Christopher Barry) and the K1 robot, to whom he’d promised a part in at least one storyline, a major guest role. Auditions for the new Doctor were also hit by the tight budget, meaning Hinchcliffe and Holmes had to trawl around local building sites to find someone cheap enough who they could get away with playing the lead role. That’s where they found Tom Baker. A former monk, Baker was headhunted by the Doctor Who production crew and called this opportunity “a gift from above” (because Hinchcliffe and Holmes were both taller than him). To the annoyance of architect, Thomas Wilson, Baker was called away from his current building job meaning that the so-called “Pyramid of Death” was never finished. 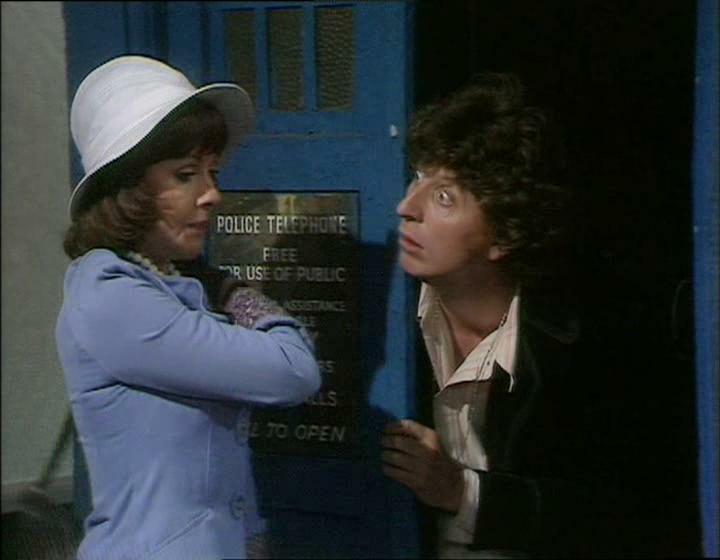 Hinchcliffe was overjoyed that Baker had accepted the part, particularly because the actor shared great chemistry with Elisabeth Sladen and Ian Marter. “In rehearsals, the three would exchange exciting tales about heating up a mixture of 78.09% nitrogen, 20.95% oxygen, and trace elements of argon, carbon dioxide, water vapour, and methane,” Philip recalled to Scientific Voyeurism Magazine, a publication far too many people have an unhealthy interest in. 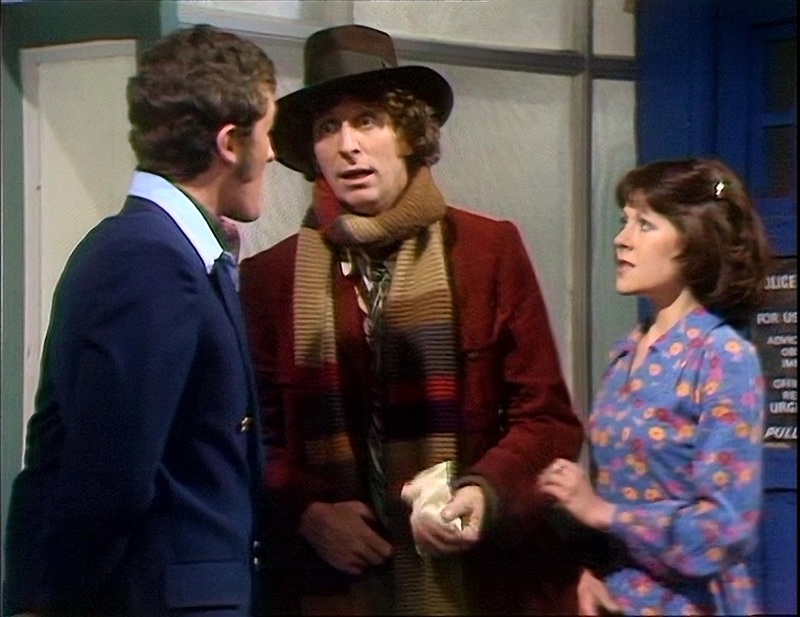 The Fourth Doctor’s costume was inspired by the lithographs of Henri de Toulouse-Lautrec, and Baker thought the red tights, polka-dot blouse, and large white bustle suited him perfectly. He also requested a long scarf to keep him warm when visiting winter planets, and a floppy hat because occasionally his hair would get chilly too. The scarf was knitted by Begonia Pope; Baker told Witty Little Knitters: “I thought Begonia was a genus, but I’m afraid others didn’t like her holier-than-thou attitude.” Nonetheless, Pope was further employed to knit other creations for the show, including the Fourth Doctor’s spare burgundy scarf, the Seventh Doctor’s spare jumper, and the Fifth Doctor’s spare Adric. These scenes saw the K1 lifting Sarah in the air, which many viewers thought was too reminiscent of King Kong, the 1933 film starring Donkey Kong, but Dicks assured fans on the DVD commentary that this wasn’t the case: “No, no, no, no, no, no… No,” he said. Paperwork from the serial confirms that the inspiration was, in fact, Kitten Kong, the 1971 episode of The Goodies. 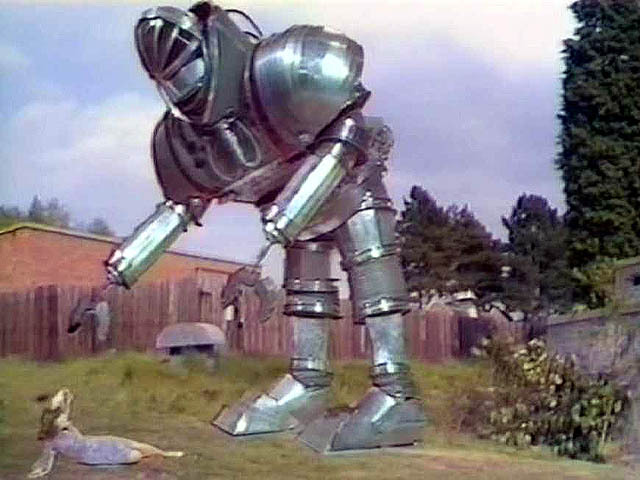 Kilgarriff was disappointed that the K1 robot was killed at the story’s conclusion, especially as he found the prop very becoming of his figure. 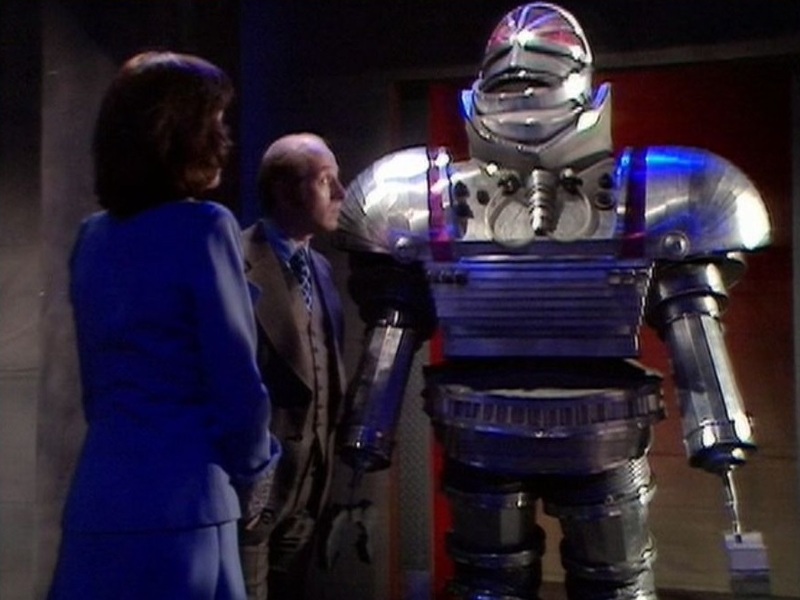 Before tripping down some steps and accidentally suggesting that cynicism was a British disease, he noted how the robot had the dignity and gravitas of a young Michael Portillo. Kilgarriff felt the K1 was so cool and comfortable, he began wearing it to weddings, garden parties, shops, conventions, and further auditions, which freaked out all but the most hardened filmmakers; indeed, he impressed René Goscinny and Alberto Uderzo so much that they cast him as Obelix in The Twelve Tasks of Asterix. Reaction to Robot was decidedly mixed: the BBC’s Audience Research Report found that roughly 30% of those polled thought it was “definitely enjoyable”, while lower percentages thought it was “definitely unenjoyable” and “definitely either enjoyable or unenjoyable – we’re really not sure.” 3% of those questioned had missed Planet of the Spiders so wondered where that delightful white-haired fella had gone and if this new chappie could tone down his eyes a little. “The dynamic between Baker, Sladen, and Marter was sublime,” Ms. Enid Ruffleflour told Points of View. “I liked the bit where the Doctor did an impression of the Titanic,” Captain Shippe emailed the Radio Times. “I enjoyed Coronation Street this week,” Mr. Dimblesprout shouted at his neighbour, but that’s neither here nor there.